Interesting explanation by Scarecrow. So Toto’s shard is special. Maybe there should be a short focus on Dorothy’s dog in the future to see how he views the team ? 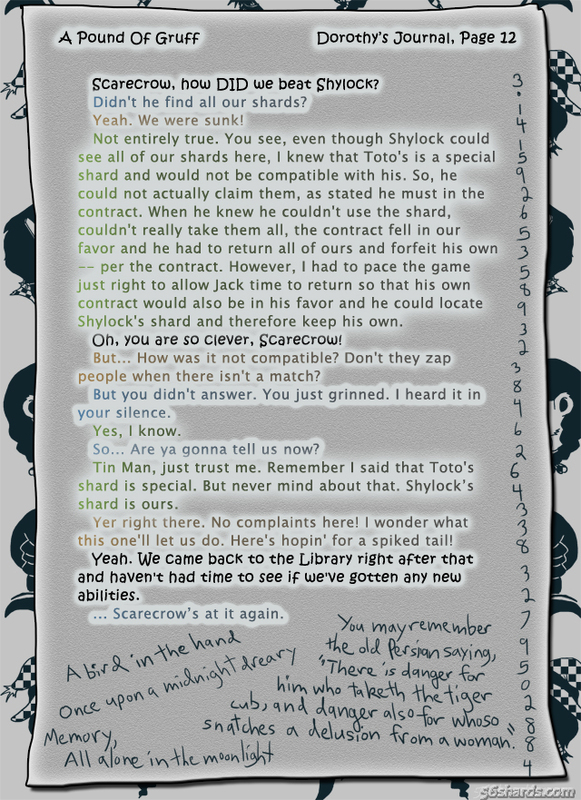 On Tuesday, the last installment will come out and reveal and explain some more:) But your idea of a Toto journal is a neat one!